This article originally appeared on Easy Health Options®. There was one aspect of my childhood that was especially lucky. My parents insisted that I learn how to play a musical instrument at a young age. I think that eventually I would have played an instrument in any case. Music, in my gene pool, seems to be a genetic disease (but a good one). Still, without my parents early prodding, I might not have started playing music as early I did. And I might not have been as disciplined in my musical endeavors if I hadn’t been trained in elementary school. My mother had been a professional pianist and music teacher, and she just took it for granted that every kid should learn music. But I’m sure she never considered the health benefits of music. For just about anyone with a computer, the expansion of the Internet has bestowed unprecedented access to a mind-blowing variety of different types of music. Browsing among selections on websites like YouTube, I sometimes think a dedicated music lover could tune into most of the music written during the past 300 years. My personal obsession with music extends to playing a number of instruments. Maybe I don’t play any particular instrument that well; but I find that emotionally and physically, playing for a while every day on the guitar or piano just plain makes me feel better. And research into the effects of music — listening to it and performing it — shows that the activity produces measurable health benefits. When scientists at the University of Liverpool measured changes in blood flow in people’s brains after taking music lessons, they found that a single lesson, even for just half an hour, shuttles more blood into the left hemisphere of the brain. That suggests that doing music activates the part of the brain that takes part in both music and language. The probable conclusion: Singing and playing music may improve your language skills. 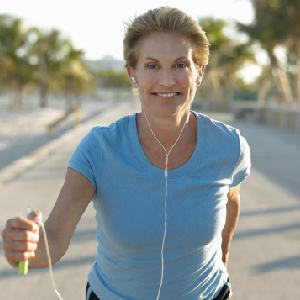 Other researchers have found that listening to music while you exercise can improve your brain function significantly. When they had heart patients walk or run on a treadmill, the researchers found that the 33 participants in the study reported improvements in their moods and mental outlook whether they listened to music or not. But their improvement on verbal fluency tests after listening to classical music while exercising was more than double what they could do without music. If you don’t have a lot of music in your life, now’s the time to put this activity to work to boost the health of your body and brain. Even if you just listen and you don’t play, you can benefit. And it doesn’t hurt to sing along. Musical training keeps your brain younger as you age. A study at Northwestern showed that people who receive early musical training do better on brain tests as they grow older. This benefit persists even if you haven’t played much music since your early years. Listening to your favorite music can lower your blood pressure. Research at New Westminster College in Canada shows that when heart patients listen to music they enjoy, their blood vessels relax and function more efficiently. The music produces measurable improvement in relaxation of vessel walls. Listening to religious music you like can improve your mental health. When scientists from the University of Texas-San Antonio studied older adults who listen to religious music, they found that these seniors enjoy more life satisfaction and less anxiety. Years ago, when I was still living with my parents, my father used to listen to a news radio station every morning. Talk about irritating. I can still hear the tinny voice on that radio speaker telling everyone within earshot to pay attention to the weather and traffic on the eights. Nowadays, when I get ready for work in the morning, the news is about the last thing I want to hear. Instead I listen to music. And even if researchers hadn’t confirmed that music fine tunes your health, I’d still have a healthy appetite for a bounty of bouncy tunes. 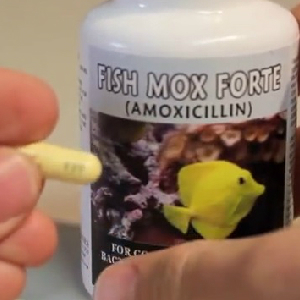 Fish Mox Forte is actually amoxicillin. For a mere $2,500, the Walton County, Fla., Sheriff’s Department purchased a military surplus mine-resistant, ambush-protected(MRAP) vehicle — that cost more than $500,000 to build — to help with its law enforcement activities. This is the same vehicle that the U.S. military deployed in Afghanistan and Iraq to use against insurgents. The Florida county is just one in a long line of communities using Federal programs designed to militarize local law enforcement by providing them with military equipment and military training. 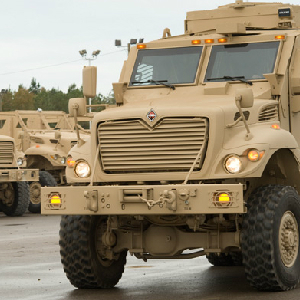 Studies estimate as many as 500 communities have acquired MRAPs. The result has helped to turn local police and sheriff’s departments — originally tasked to protect and serve their public — into violent, shoot-first quasi-military organizations terrorizing and abusing the public. This is not hyperbole, as we show regularly in our Power Of The State section. Walton County is so idyllic and peaceful that residents feel no need to lock their doors, and its peaceful nature is so over-the-top unusual that one of its communities was chosen as the location for filming “The Truman Show.” Yet Sheriff Mike Adkinson said the MRAP was needed as an “insurance policy” to keep deputies safe in dangerous situations. The problem with police departments acquiring new military “toys” comes in the fact that, when toys are acquired, they are wont to be used. And therein lies the rub. Police use flimsy evidence to suggest “threats” exist, and the military tactics escalate encounters and create more violence. The American Civil Liberties Union recentlycompleted a study of 800 deployments by heavily armed Special Weapons and Tactics (SWAT) teams from 20 law enforcement agencies over the period 2011-2012. It found that more than three-fourths of the deployments were executed — often using MRAPs — to search a person’s home, and more than 60 percent of the time the searches were for drugs. But in at least 36 percent of the SWAT raids studied, no drugs were found. And because police reports were often incomplete, the ACLU notes that the actual figure could be as high as 65 percent. SWAT teams were originally created to respond to hostage, barricade or active shooter scenarios. But only 7 percent of deployments in the ACLU study were employed for SWAT teams’ original intent. Records provided the ACLU by 63 responding law enforcement agencies showed they received “a total of 15,054 items of battle uniforms or personal protective equipment” in 2011-2012. In addition to battle uniforms and gear, officers are increasingly trained in military tactics and they increasingly come from the ranks of military units previously deployed in war zones. Their training “encourages them to adopt a ‘warrior’ mentality and think of people they are supposed to serve as enemies.” And the equipment they use includes battering rams, flashbang grenades and the aforementioned MRAPS or other armored personnel carriers. It’s not unusual for the raids to be carried out late at night to increase the confusion among the occupants who are startled from sleep. But it also increases the likelihood innocents are in the house, which increases the danger to them. This straw man argument is increasingly being promoted by the Federal government in propaganda pieces distributed by the Department of Homeland Security and the FBI, as I’ve reported before. But to hear it come from a member of a local law enforcement agency, the ranks of which contain many “people who are coming out of the military,” is mind-boggling. Plus, I have yet to see an instance reported of a U.S. veteran employing IEDs against local police. In fact, attacks on police are down. Firearm-related deaths of police officers reached a 126-year low in 2013, according to a report by the national Law Enforcement Officers Memorial Fund. It’s the second year in a row for a decline, and the number of firearm-related police fatalities has dropped each decade since the 1970s. The creation of the DHS after 9/11 has contributed to the militarization of local police departments by dispersing grant money and eliciting their assistance in so-called anti-terrorism enforcement. These grants have enabled local departments to stockpile specialized equipment in order to facilitate “readiness” for a terror event. It also increased the contact between a quasi-military agency — the DHS — and local departments. Violent SWAT raids have resulted in death and injury of innocents — including women and children — often in homes targeted by mistake. Even pets aren’t safe around SWAT teams and patrol officers. The DHS long ago jumped the shark in regard to considering all Americans as potential terrorists, and this mindset has increasingly filtered into local police departments through their ongoing contacts and training with DHS. But as we’ve told you before, most, if not all, U.S. terror plots are actually instigated and planned by the FBI. The militarized mindset is not just reserved to SWAT officers, but has trickled down into all reaches of law enforcement, as evidenced by the increased prevalence of violent encounters between police and peaceful citizens. Cops have come to think of themselves as gods above the law whose commands are to be obeyed immediately and without question. Any hesitation often leads to the “suspect” being left bleeding and broken or quivering from electricity introduced by a Taser. It doesn’t matter if the person was unable to understand the command because of a language barrier or if the person was unable to comply due to disability or defect. Officers expect immediate and complete compliance with no questions asked. They are increasingly shooting dogs for barking, shocking with Tasers (see here and here) and pepper spraying children in schools, and shooting wheelchair-bound men in the streets. They apparently feel they operate above the law. And their militarized appearance, backed by their militarized vehicles and overbearingly intimidating demeanor and the increasingly violent interactions they are having with the public, is creating a sense of fear. And that fear is justified, given that public safety is no longer the number one goal of local police. How do I know that? By the actions and words of police departments acquiring the weaponry and using the tactics. almost the entire Syrian side of the Golan Heights is now under the control of rebel forces, including radical Islamist groups, a senior Israeli military commander in the area said Friday. One of two Syrian army brigades that used to control the area has completely disappeared, the officer said. The Israeli officer said that the dramatic gains made by the rebel forces in the area appeared to explain why Syrian troops fired a missile on Sunday that killed a 15-year-old boy on the Israeli side of the border. Apparently forces loyal to Assad, stationed some five kilometers inside Syrian territory, erroneously calculated that a civilian truck, delivering water to Israeli contractors who were working on the border fence, was actually a rebel truck on the Syrian side of the border, and opened fire on it with an anti-tank missile. The attack killed 15-year-old Mohammad Karkara, who had accompanied his father, a civilian contractor, to work that day. In response to the attack, Israel that night launched a series of retaliatory air strikes that killed a reported 10 Syrian soldiers, though Damascus put the number at four. Subsequently, the TV report said, Syria conveyed the message to Israel, via UN liaison personnel stationed on the Golan, that the anti-tank missile was fired in error. Israel “is inclined to accept the explanation,” the report said.